Costco or Amazon Prime: Which Saves You More? 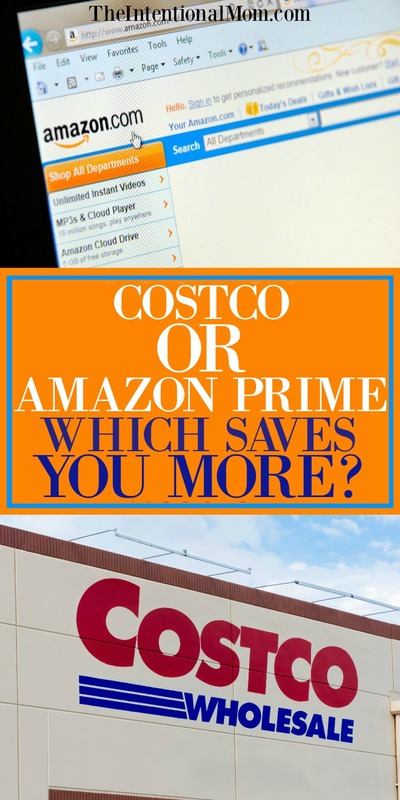 Costco or Amazon Prime – Which Saves You More? Both Amazon Prime and Costco can be great ways to save money, but how do you really know? 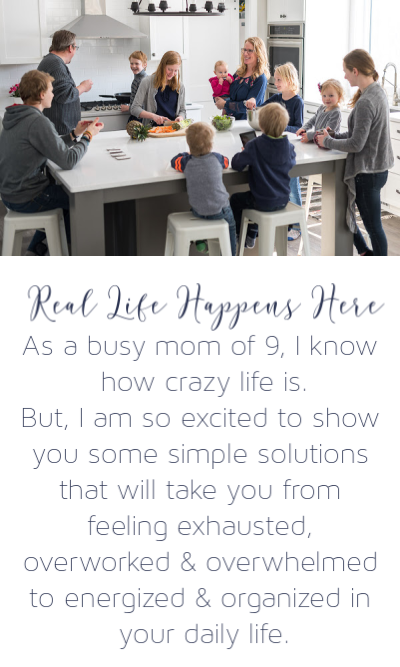 As someone who has learned to raise a super-sized family on less than $25,000 a year (there are 10 of us), I’ve had to learn how to make every penny stretch as far as it can. If you really want to know which one might be the better option (or if both or neither is the best for you), you will have to do a bit of homework first. And, that’s what we’re here to do. First, I’ll share some of the most common questions people ask me as well as the answers to the questions. Then, I’ll give you some specific things to think about. By the time you’re done, you’ll know whether Amazon or Costco saves you more based on your individual shopping habits and lifestyle needs. How do the two membership price points compare? At the time of this writing, a regular Costco membership costs $55 while an Amazon Prime membership costs $99. However, it’s important to remember that your Amazon Prime membership includes many additional benefits that are listed in a point below. Does having a Costco membership actually save you money? I find that Costco can help customers save, but only if they are an educated consumer. Any kind of membership stops being beneficial when one assumes that everything offered there is the best value. In reality, every store will have the best price on certain items at certain times. But, no one store will always have the best price. So, Costco does save their customers money, but only if they are willing to do their homework. Everyone needs to determine where they are saving money and where they are not. Then, the customer must weigh whether the savings have paid for the membership itself. This is where the homework phase really comes in. What about Amazon Prime? Does this save shoppers money? The thing with Amazon Prime is that there are so many added benefits. You’ve got free two-day shipping, free same-day shipping in certain zip codes, streaming, free options for books, added savings on various Amazon memberships, Prime Music, early access to Lightning Deals, and even more. Read more about all the Amazon Prime benefits HERE. For instance, if you are paying for a streaming service other than Amazon Prime, becoming an Amazon Prime member could allow you to cancel your previous streaming service. When you figure all of these benefits into the equation in addition to just the shopping benefits alone, you could really “pay” for your Amazon Prime subscription fairly quickly. Are there certain products that are always cheaper on Amazon or always cheaper at Costco? I don’t think any product is ever cheaper at any one store straight across the board. I could rarely offer a blanket statement like that about anything. When looking to save the most money, everything needs to be evaluated on a case by case basis. Does this take time? Sure, but when looking to save money you are trading your time for the savings you get. It’s really no different than going to a job and getting a paycheck. Even in that case, you are exchanging your time for money. 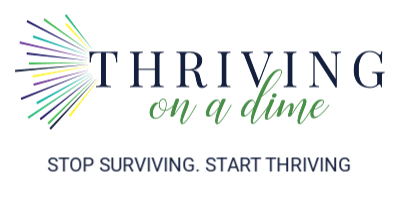 When it comes to thinking about saving money, it really helps to think about it as a part-time job that is paying you a wage. In reality, this is really what’s happening. If I can only pay for one membership, which one is better? If only choosing one membership, examine all of the benefits with Amazon Prime carefully. Then, also take into consideration the time and money spent on traveling to Costco. Remember, Amazon is shipped right to your door. Also, you shop from home. There is certainly something to be said for convenience. In my opinion, because Amazon Prime offers so many different things with their membership, it is the better value for me. Not only is there Prime Pantry, but there is also the 2 day free shipping, the streaming, and more. Again, in my mind because of the added benefits, Amazon Prime offers the better deal as long as the added benefits are something that will be used (most people will use at least a few of them). I have been a Prime member for years, and the savings I experience really do add up. This is especially true when you choose the more delayed shipping options in exchange for credits when offered. Does it even make sense to have a membership to both, considering the membership fees? It can make sense to have a membership to both, as long as you will buy smart and be willing to invest the time into comparison shopping. As with any kind of membership, continue to evaluate whether you continue to utilize the benefit enough to offset the cost of the membership. People lose all kinds of money on memberships every year because they have the best of intentions. But, it never goes any further than that. Gym memberships are a perfect example of this concept. If you have a Costco membership but only go a handful of times, it might not be worth it. Remember, you will need to save $55 a year on the products you buy in order to offset the price of the membership. How far away is Costco, is it convenient for me to get to? Can I realistically buy and store items in bulk (or will some get thrown out before it can be used)? How much is my time worth? Does shopping right from home and having things shipped right to my door make Amazon Prime a better value? How many of the additional Amazon Prime benefits will I regularly use? Do I have the time and desire to price compare the things I would buy at Costco or using Amazon Prime against what I would pay in a typical store? Should I afford either membership? Will Costco encourage me to overbuy? Will the convenience of shopping from home with Amazon Prime cause me to overbuy? Next, head to Costco and take a walk around. How many items would actually interest you? Write these items down as well as their price per ounce. Now, compare those prices to the same items on Amazon and the same items at the store(s) where you would normally buy them. After doing this “homework,” you should be fairly sure of whether a membership to either Costco or Amazon Prime would pay off for you. If you are looking to stretch your budget as much as you can, Costco and Amazon Prime can be great tools to help you do this. But, not in all cases. It pays to do your homework first so you don’t end up wasting your money. Just go HERE to read more about Amazon Prime. You didn’t answer the question, you just basically said figure it out yourself. Hi! Actually, as stated in the post, I feel Amazon Prime is a better option in some cases because there are added benefits like streaming, 2 day shipping etc. But as also stated, I can’t possibly tell someone which is better for each person because I have no idea how far away Costco is, which of the added benefits of Amazon Prime you would use, if you’re able to buy and store in bulk or if some would end up going to waste etc. Hopefully after working through the comparisons and questions to ask yourself, you’ll be able to answer that for yourself. In my life, it benefits me to have both. Thanks for reading! I like Amazon Prime because they have many of the specialty items I like. I don’t like shopping so it’s great that I can have everything delivered. My family uses the streaming to watch movies. I don’t buy produce in bulk. I can go to the local family owned grocer. It’s a quick in and out. delivery is awesome! And so is shopping in your pajamas if you choose!